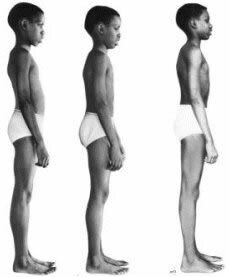 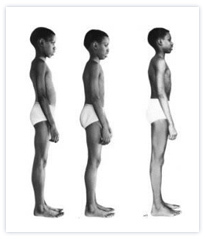 The results of Rolfing can be dramatic. 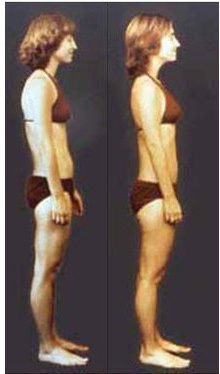 Below are some examples of the structural changes that can occur. 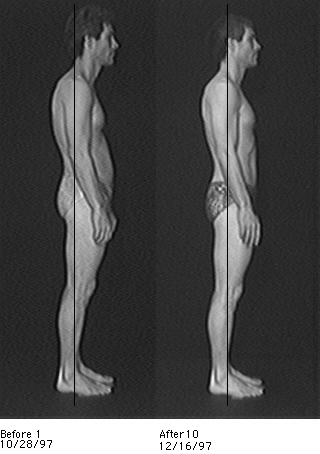 The photos on the left were taken before the first session of Rolfing. 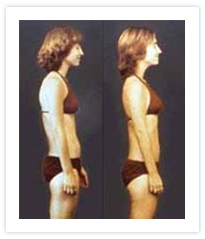 The photos on the right were taken just after the tenth session of Rolfing. 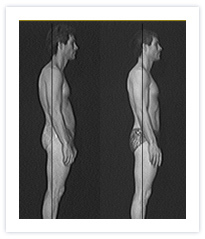 The last example includes a photo taken one year after the 10-session series, with no further Rolfing, to show how the integration process continues after the work is finished.